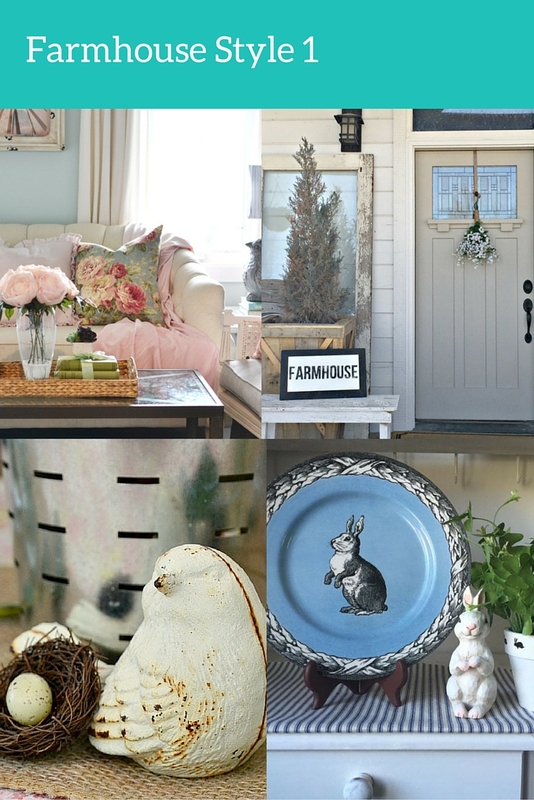 I am so excited to be joining with some of my favorite blogging friends to share our Spring Home Tour! This year we have split the tour up into different days to showcase different decorating styles. When Stephanie asked me what style to put me in, I seriously had to think about it. I love a mix of rustic, farmhouse, and traditional and with the classic and beautiful features of our 100 year old house I think we have a truly unique home. Check out all the homes on our spring tour! We are always working on our home and while we haven’t made any big changes since last year (bathroom makeover, replace porch, and front retaining wall), we have a lot of plans in the works this year. This year we plan to knock down walls in our basement to extend the livable space and refinish the space. It is semi-finished, but I think it could be so much better utilized, and we are excited to get that project going! 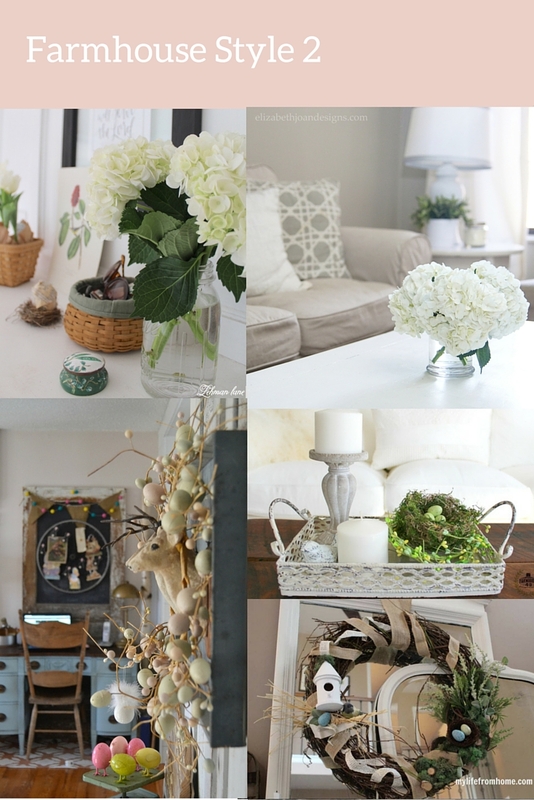 I have also been working on a dining room makeover, which I will show you today! We still need to paint, but the room is really coming along! Finally and most exciting, we are going to participate in the One Room Challenge to create a nursery!! We are thrilled to announce that we are having another baby! Our baby girl will be here in August and we couldn’t be more excited. Our four year old is pumped to be a big sister and we cannot wait to have a new little squishy newborn in our arms! If I’m being honest, we thought we may never have another child and went through a lot to get pregnant, so this is an even bigger blessing than we could have expected. This pregnancy hasn’t been easy so that’s why I haven’t been nearly as active here or in the blogging world in general, so thank you all for sticking around! So on to the home tour! 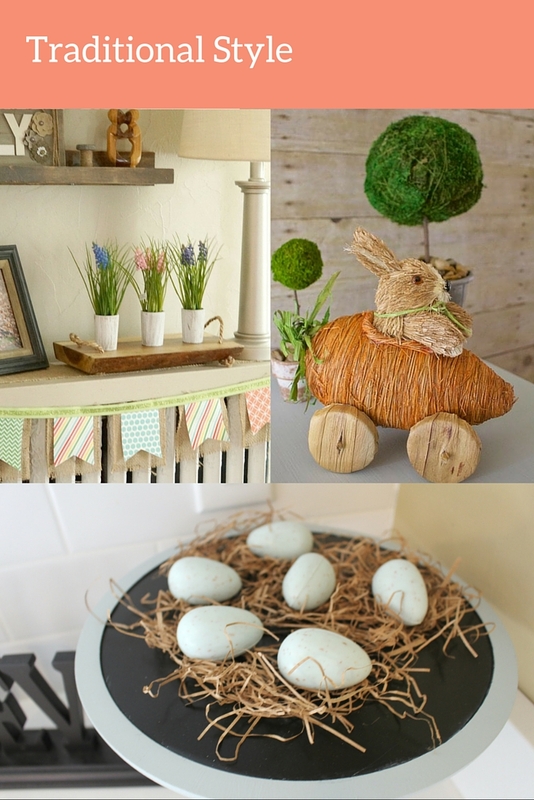 I don’t completely change up our home for Spring, but I do loving bringing out Spring and Easter decor. We are Orthodox so our Easter isn’t until May this year, but my daughter was so excited about decorating that we brought out the Easter decor weeks ago. It was earlier than I had planned, but I love seeing her excitement over putting out new decor. Our foyer has gotten a fresh coat of paint since the last time I showed it. Here it is last year in our home tour. The color was Cloudy Sky by Benjamin Moore. The Cloudy Sky was lovely, but it was too dark for my tastes. It doesn’t look too dark in these photos because I lightened it up, but it did turn a little on the gloomy side if the sun wasn’t out. It took me ages to paint the foyer the first time because of all the woodwork so I really dragged my feet about repainting. I am glad we did though! My Dad helped me and it only took a few hours! We decided to repaint using Gray Cashmere, also by Benjamin Moore. I spent the extra 20 bucks to get their good paint and it was definitely worth the money! The coverage was fantastic. Here is what our foyer looks like now! For spring, I put out this repurposed green box, added a white bowl of polka dotted eggs, and added some pink accents to brighten it up. The big white bowl has chalkboard Easter eggs that I let my daughter decorate. Moving on, I have a little bit of Spring decor in our living room which is directly to the left of the foyer. This spring banner was an easy DIY two years ago…and OMG the pictures in that post are awful! Was I using Instagram filters??? And you can really see how gloomy the Cloudy Sky paint is in those photos! I used to have this banner in the foyer. I love the little hyacinth vases I purchased at Michael’s. The wood block tray is one of my favorite pieces and is from Pier 1. I love to move it around the house and use it in all different places. The other side of our living room has this cute little Easter train that my daughter loves rearranging! I use these Hemingway books all over our house. They were my Grandfather’s and are an early edition. I have eight of them and they are one of my most prized possessions! Years after he passed away, my Grandmother gave them to me and I am so thankful to have them in our home. Moving on to our new and improved dining room! Here is what the room looked like last year. The table was way too small, the rug is made for outdoors, and the tiffany lamp is not our style. The curtains were from the previous home owners and they had served their purpose. They were a little dark and heavy and when closed, blocked out all the light. This is the view from our living room and I think it looks much better! We have a brand new farm house table, a lovely new rug from HomeGoods and much lighter curtains. I also love the geometric light fixture from Parrot Uncle. I just want to paint out the walls, but I haven’t even thought of what color yet, so that will be a while! This table was handmade by an Amish man in Ohio and his work is just fantastic. The wooden chairs are from Overstock and the blue chairs are from HomeGoods. Check out these chunky legs! My Grandmother recently let the granddaughters have her china. I love this floral water pitcher which matches the set and can’t wait to fill it with fresh summer blooms! I like to use our radiators as extra decorating space! I hope you enjoyed this glimpse into our home! I can’t wait to start sharing the nursery with you over the next six weeks as we work on it! Don’t forget to check out all the homes on the tour! Really pretty dining room. Love the touches of Spring you have added. What a beautiful staircase you have. Thanks Bon Bon! I love the staircase too, it was definitely a selling point when we bought the house! Just lovely Amanda! Congratulations on the new baby! You must be so excited! Thanks Michelle! We are thrilled!! Oh my goodness, you had me at that front door! Your home is beautiful. Your spring accessories are so pretty and that’s a really neat texture treatment on your dining room ceiling. Thank you Stacey! Yes, I love the original plaster work in our house on the ceilings! I hope we never have a leak or need to repair them because I don’t think it can be replicated! Love all the spring touches added to your beautiful home! Thanks for sharing it with us. It has been fun touring with you this week! Love all of your spring touches! I love your placemats. And so excited for you guys, congrats! 🙂 Can’t wait to see the nursery! Thanks Meg! We are so excited! 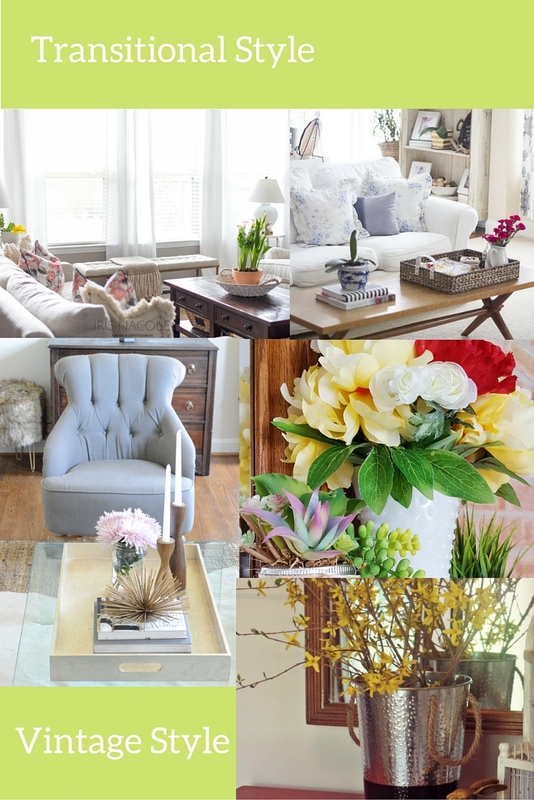 Your home is beautiful and the spring touches make it looks so homey. Congratulations on the new little one. Thank you Donna! We can’t wait!! Amanda I love all the spring decor and Easter decor. Your home is so welcoming and your new bundle of joy is going to be so loved. Congratulations! Thank you! I love all the wood work too! I know some people would paint it but I love the charm of it! You have such a beautiful home, and how wonderful to be expecting a new blessing! Congratulations!! Thank you Tara! The color has made such a big difference! Beautiful, Amanda! 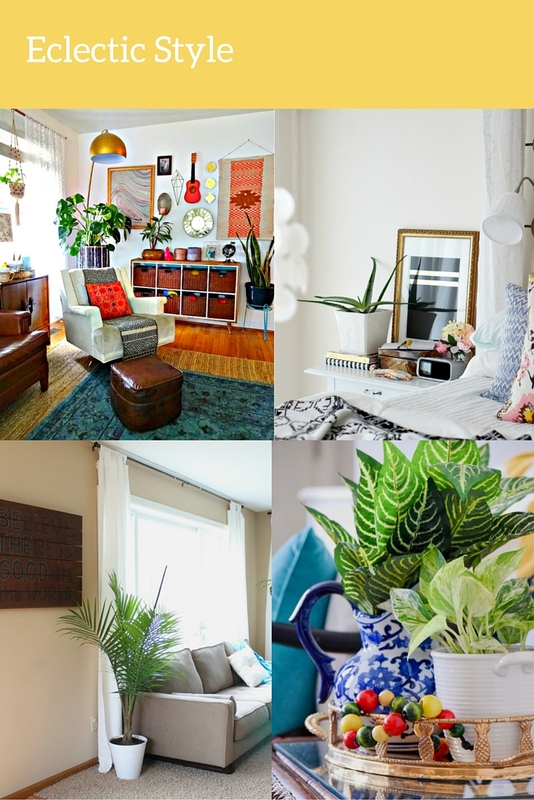 I absolutely love the mix of colors and textures in your home! That staircase is awesome! Thank you Erin! The staircase was definitely one of the reasons I fell in love with the house! Congratulations on the baby!! I’m having a new baby any day now so I feel your excitement. I love your spring tour, sorry it took me so long to come visit. I especially am blown away by the beautiful ceiling in your dining room. Good luck!! Those days right before the baby comes are so exciting!! Thanks Melissa!! I love that ceiling! I am told it can’t be replicated so to never get a leak…no pressure right?! I LOVE the new foyer color! Excellent choice and it goes a long way to update that area! It is so nice to find other bloggers in the updating phase because that is the exact phase I am living! Our house does not have the charm of yours but we are slowly chipping away, making it ours. Congrats on the pregnancy!! Thank you Tara!! I love color too and am thinking of doing my dining roo in it!